Earwax main function is to provide a natural barrier to any bacteria, insects, or other foreign objects that could get inside our ears and cause us harm. By blocking off our ear canal, earwax is helping our inner ear keep clean. Our earwax has a waxy texture allowing our ears to become lubricated. Without cerumen, pur ears would be very itchy and dry, similar to how tears work to moisten our eyes. Your ears are self cleaning through a process called epithelial migration, and sticking anything in them can cause damage or injury. Cotton tipped swabs, especially, can be harmful to put inside your ear. 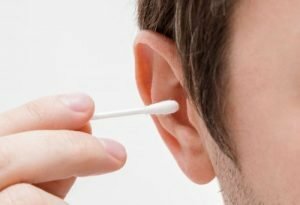 While many people use cotton swabs in an attempt to remove earwax, it can actually cause earwax to become further pushed back into the ear canal sometimes causing a blockage which can result in a change in hearing. The motion of chewing and talking is the natural way that earwax is moved towards the outer ear in which it will either fall out or dry up and flake off. Apocrine glands are the glands that help secrete earwax, not only are they for earwax but they are also accountable for your smelly sweat. As stress can cause you to sweat more and smell more, stress and nervousness can also create the production of more earwax, as reported by the American Speech-Language-Hearing Association. Earwax when built up and pushed towards the back of the ear canal can most commonly cause hearing loss. Impacted earwax can cause symptoms such as dizziness, a full feeling within the ear, earaches, and sometimes tinnitus as well. 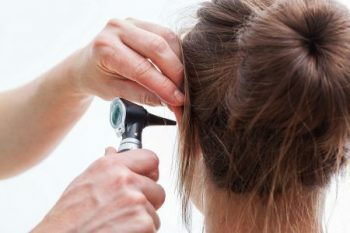 When you realize that wax may be the culprit to your loss of hearing or plugged up feeling, it may be time to visit your audiologist for a professional cleaning or ear lavage. Earwax, while it can be unpleasant, has its own little responsibilities and helps in our overall hearing health. If you or a loved one has experienced any changes in hearing recently and think it might be impacted earwax, contact us today and schedule an appointment so we can assess that it is in fact ear wax, and not something that could cause further damage.